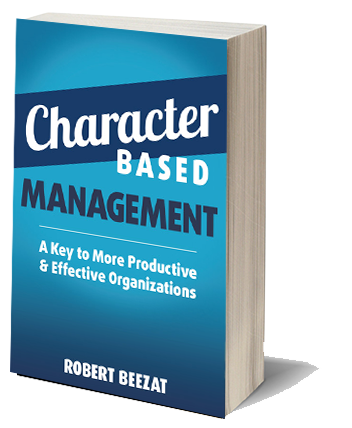 October 2016, “Build Your Character, Make Better Decisions – 10 Activities to Strengthen You and Your Organization” by Robert Beezat as appeared in the October issue of Public Management Magazine. July 1, 2016, Chicago Tribune, Chicago, IL. “Every workplace needs a Robert Beezat, who proves the humane way wins the day” by Rex Huppke. After years of writing about workplace problems, I’ve finally found a universal solution: Every company in America needs a Robert Beezat. You probably haven’t heard of Robert Beezat, but after I tell you about him, you’re for sure going to want one. He’s a veteran manager, now 74 and semiretired, who has written a book that isn’t the kind you’d find on shelves at airport bookstores or stacked high at a Barnes & Noble. It’s not glossy or filled with fancy charts and edgy buzzwords. It’s short — an even 100 pages — and not much to look at from the outside. But, oh, what’s inside. Imagine you’re lucky enough to have a veteran colleague, a person of character, a person whose career is enviable, and that colleague takes you aside for a couple of hours and shares the secrets to being a good worker and a good manager. The secrets he shares aren’t complicated: shut up and listen; learn by watching others; do what you say you’re going to do; foster a sense of love — yes, love — in your workplace. It’s all simple, in a sense, but it’s not the sort of thing we hear often enough. If we did, and we took it seriously, our working world would be considerably more pleasant. 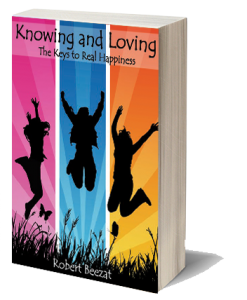 Beezat encourages readers to “find ways to understand” the characteristics and behaviors that enhance a person’s character, things like kindliness, equity, a willingness to accept responsibility and tact. I’m guessing most people have known someone in their career like Beezat, a person who just seems to get it, the one colleague everyone likes to work alongside. That’s part of why he wrote the book. And part of why I’m sharing the book with you all is because I don’t think we have enough people like Beezat passing along this kind of information to younger workers and rising managers. One of the tenets of his advice is to learn from watching others, but too often there isn’t a Beezat around to watch. And what of this love in the workplace he describes? It’s not a romantic love, of course, but the kind of mutual love teammates express after winning a championship. We must listen to the people around us who have strong character, particularly in a work environment. We should model ourselves after them and take the time to hear what they have to say, even if they aren’t flashy or full of buzzwords and cutting-edge concepts. We should all be lucky enough to have a Robert Beezat in the office. Someone giving us knowledge from a work life well lived.